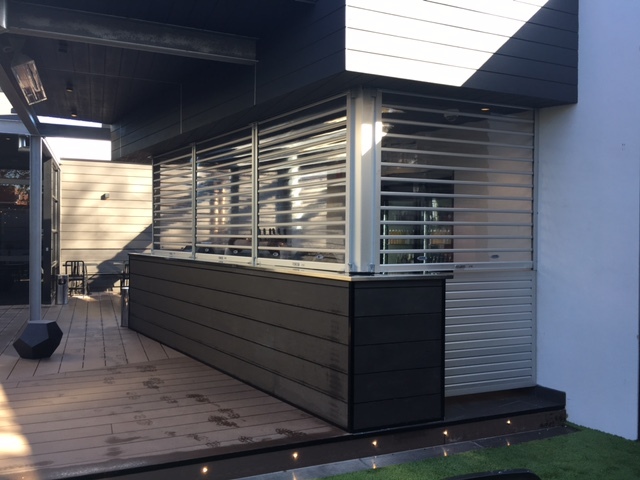 The multi-million dollar renovations of the Railway Club Hotel in rural Seymour were recently completed and the hotel is now open to patrons. 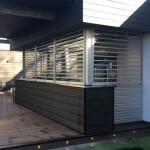 The renovations included a new outdoor entertaining area incorporating a fully functioning bar area. 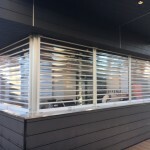 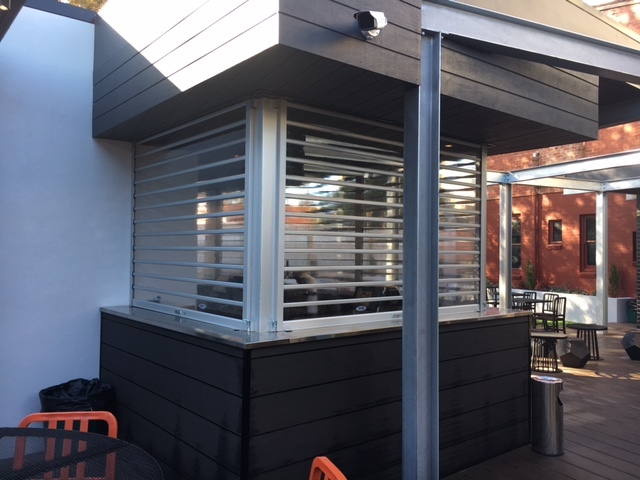 Ansa Doors supplied and installed its “E87” Clearvision Polycarbonate Roller Shutters to secure the bar area outside of operating hours. 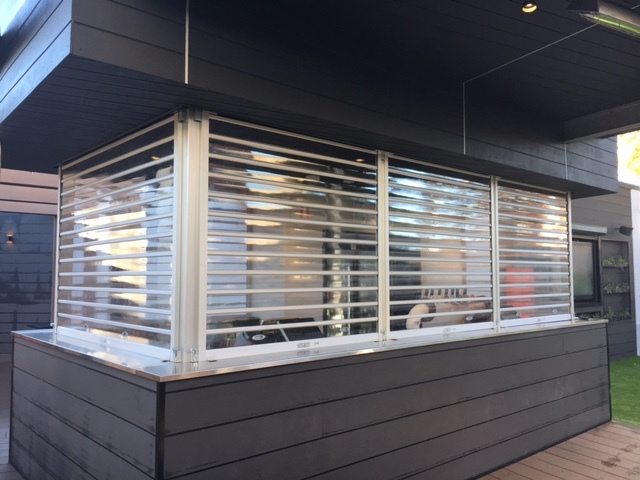 The door solution incorporates removable guide mullions that allow for an obstruction free bar top area when the doors are in the opened position. 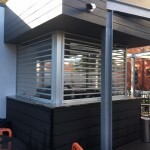 The doors provide a very functional and aesthetically attractive solution to this newly renovated premises.